Medical Device requirements from product development, through manufacturing and end use. Use to develop your personal knowledge. 780 pages of information, provided in an easy to understand, visual format. 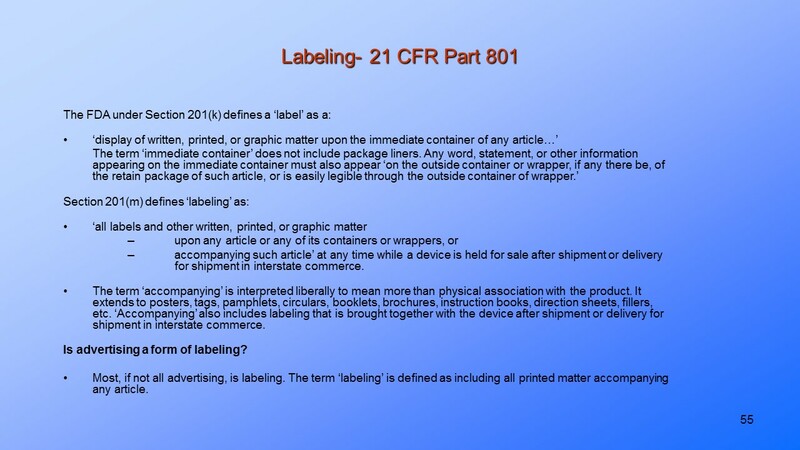 Introduction to regulatory requirements and international standards. 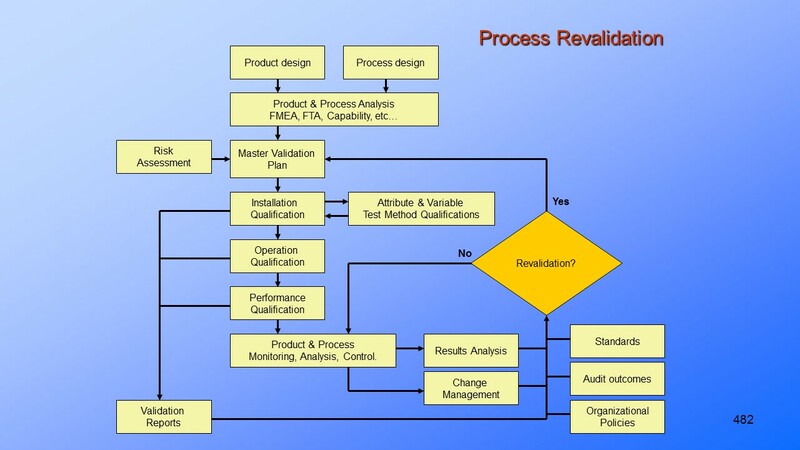 How to implement Medical Device Process Validation. 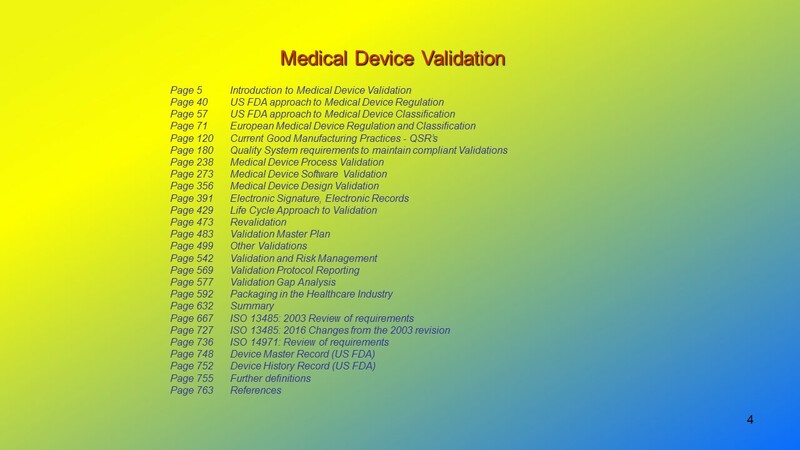 Software Validation for Medical Device products and processes. 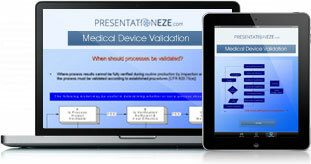 Implementation of a compliant Medical Device design and development process. Implementing a Life Cycle Approach. Installation Qualification (I.Q.). Operation Qualification (O.Q.). Pre-Validation Study (PVS). Performance Qualification (P.Q.). 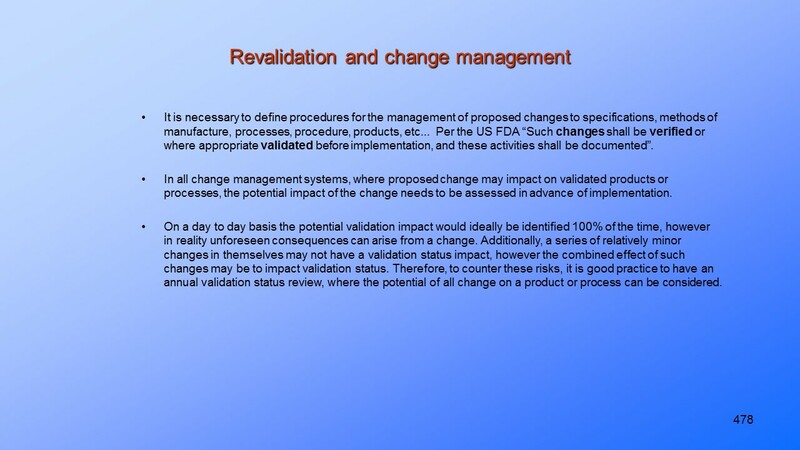 Implementing an on-going revalidation process. How to perform a Validation Gap Analysis. 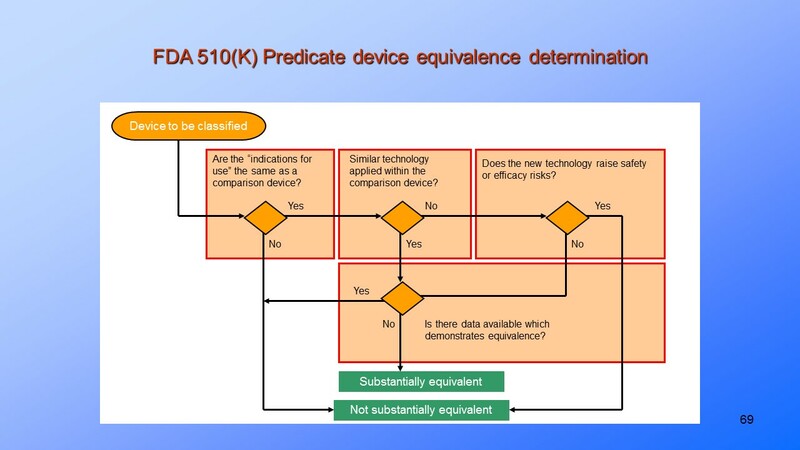 How to classify a Medical Device. Principles of current Good Manufacturing Practice (cGMP). The concept of a device being “fit for intended purpose”. The FDA Quality System Regulations (QSR’s) explained. How to identify the need for Validation based on identifying and quantifying Risk. Planning, documentation and reporting validation protocols.